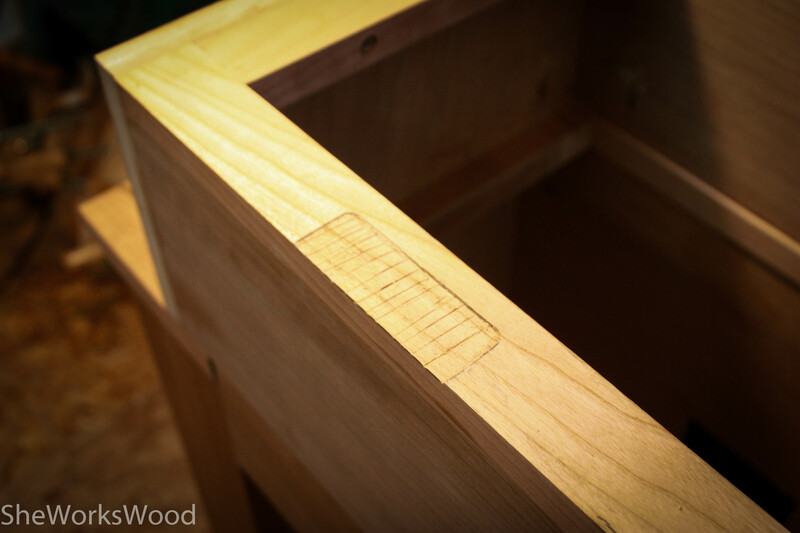 A WOMAN, HER WOODWORKING PROJECTS AND A BLOG. I HOPE YOU FIND USEFUL INFORMATION HERE. More progress today. I forgot to photograph the cutting out of the lid. I used a hand saw to make the cross cuts and my track saw to do the long rip. Tomorrow I start finishing! 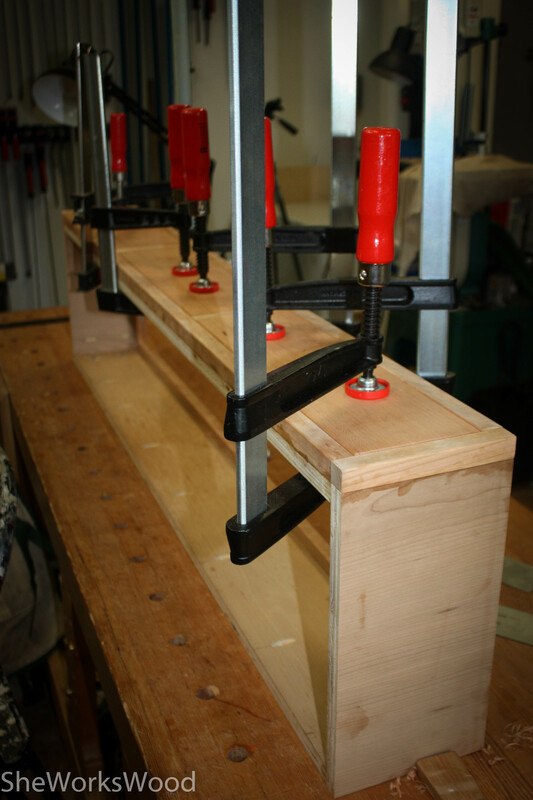 After fitting the false drawer fronts, they were glued in the frames. 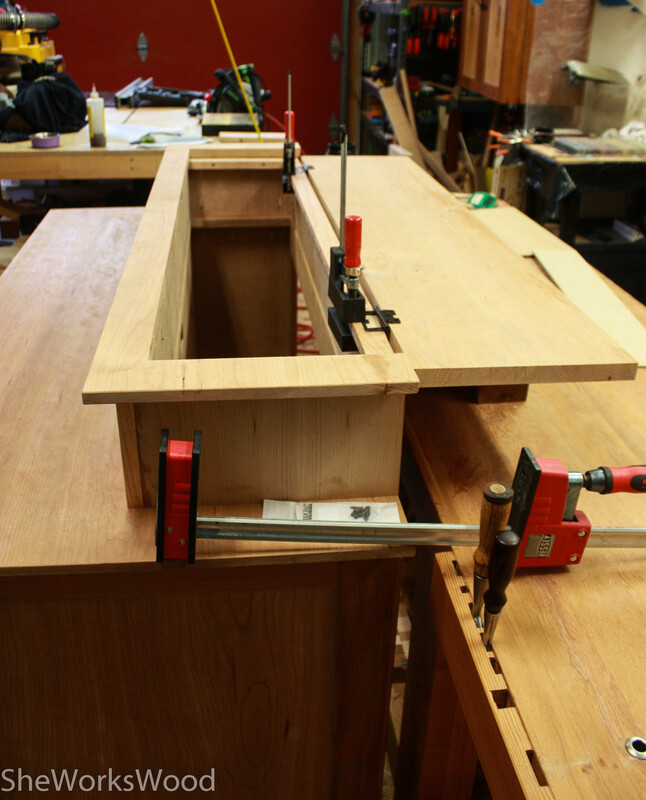 Then I installed the hinges for the second lid. Second lid ready for attaching. This entry was posted in TV Lift Cabinet and tagged top, TV Lift Cabinet. Bookmark the permalink.